The Gospel. The Good News of the redemptive work of Jesus Christ on our behalf. As believers we know it, we remember it, and we celebrate it at Christmas and Easter, and we know we need to share the truth of the Gospel to the lost world around us. The question I want us to ponder is–how does the gospel impact our lives as believers every day? This is a lengthy post, and I encourage you to take your time going through it prayerfully. It is the incarnation, sinless life, substitutionary death, burial, bodily resurrection, ascension, and eternal reign of the Son of God, Jesus Christ. -You're always looking for some new technique, some “new truth” or new experience to pull all the pieces of your faith together. Until we as believers can learn to rest in God's perfect love for us through Jesus Christ, we will continually find ourselves falling into the trap of basing our view of God on our feelings and our performance or dwelling more on our sin than on God's grace. It will be impossible to live a life full of joy and gratitude if we don't truly grasp and grow more and more in our understanding of the cross of Christ and how it applies daily to our lives. When we learn to delight in God's love, everything about us will be transformed. Our purpose will be evident in every detail of our lives, from joyful moments–to the mundane–to the hard times of suffering. We will be reminded that it is all about Him and not about us. Everything we need has been given to us in Christ. Ponder that: everything. Not some things or many things, but everything. Let's look at just a few of the wonderful truths that are ours if we are in Christ: We are loved, adopted, chosen, forgiven, redeemed, citizens of heaven, children of the King, no longer under condemnation, sealed by the Holy Spirit, God is working all things in our lives together for good, never alone, and in the twinkling of an eye will spend all eternity with Him in glory–to just name a few. These truths, of all that is ours in and through the gospel, should change the way we look at everything. His love for us is not based on our outward performance. His love for us is based on the work of Jesus Christ on the cross. We don't need to read self-help books that give us 10 steps to having it all together. We need to find ourselves so hidden in Christ and Christ alone, knowing that it is only there we find true purpose, peace, and contentment in this world. Some of us have never been taught the importance of the truth of the gospel after we have been saved. 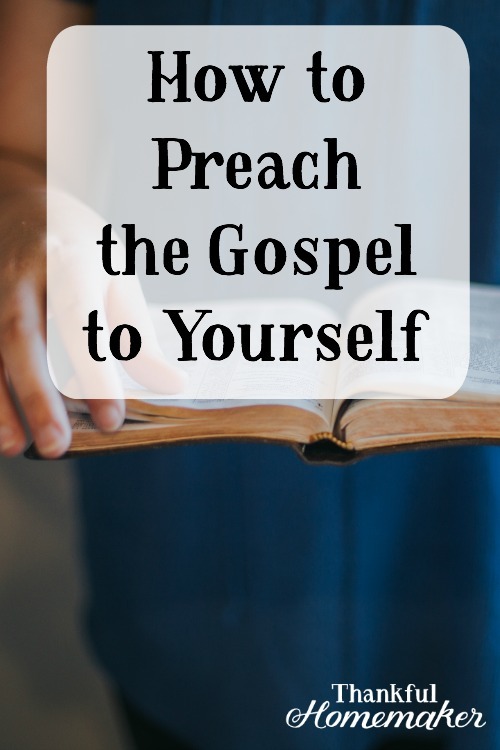 Jerry Bridges challenges us in his book, The Discipline of Grace to “preach the gospel to ourselves daily.” Being reminded of the gospel will be an encouragement to you when you sin, as you will find immediate comfort in the gospel. When you are focused on the gospel, you will find yourself sinning less, and you will find walking in God's ways more natural than when your heart and mind are not set on things above. The gospel serves as the means by which God daily constructs me into what He wants me to be and also serves as the channel through which He gives me my inheritance every day of my Christian life (Acts 20:32). Hence, it could be said that the gospel contains all that I need “for life and godliness” (2 Peter 1:3). It is for this reason that God tells me to be steadfastly entrenched in the gospel at all times and never to allow myself to be moved from there. (Colossians 1:23). The mere fact that God tells me to stay inside the gospel at all times must mean that He intends to supply all of my needs as long as I am abiding in that place of luxury (Colossians 2:8-10, 2 Peter 1:3). What would our days look like if we continued a daily practice of reminding ourselves who we were and now who we are in Christ? Below are some ways to keep the Cross of Christ at the forefront of your day. My hope is that you and I will ponder and let our minds and hearts be overwhelmed with Jesus' sacrificial love, grace, and mercy. We must never move beyond these truths and think they are only for new believers. We need to take the time to relearn them over and over again. -Spend time reviewing or memorizing verses that remind us of the gospel. Here is the list I use that is recommended in Mr. Mahaney's book – 2 Corinthians 5:21, Romans 8:31-34, Isaiah 53:3-6, Romans 3:23-26, Romans 5:6-11, 1 Corinthians 15:3-4 and Galatians 2:21. -Thanking the Lord during your prayer time that you can come before Him confidently and boldly because of the Work of His Son Jesus Christ on the Cross. -Pouring the truths of the gospel into your children during the day. I highly recommend Give Them Grace: Dazzling Your Kids with the Love of Jesus by Elyse Fitzpatrick. 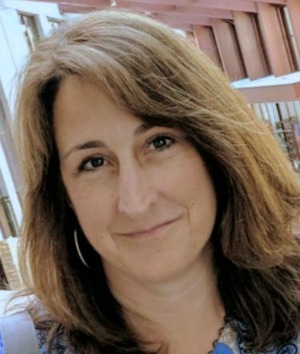 Revive Our Hearts has an interview that I encourage you to listen to here with Elyse Fitzpatrick. -Listen to music that focuses on the gospel. Sovereign Grace Ministries has a CD out called Songs for the Cross Centered Life that will keep you singing the gospel to yourself all throughout your day. The Gospel Song is a favorite for children too. -Continue to be a student of the gospel. Never be content in your knowledge of it but continue to grow more and more in the grace and knowledge of your Lord Jesus Christ. We can never unearth all the many facets of the gospel and its application to our lives on a daily basis. –Listen to sermons free online that are cross-centered. The Functional Centrality of the Gospel is a good one to start. -Spend time in Romans and Galatians. Pick up a good commentary to aid in your reading. Matthew Henry's Commentary is free online. -Take the time when you are reading God's Word to see the gospel. The more you take the time to take notice the more you will see how God's Word points to the coming Savior. -Make it a goal to read one book a year on the Cross of Christ. Some recommendations are A Gospel Primer for Christians by Milton Vincent, The Gospel for Real Life by Jerry Bridges, Living The Cross Centered Life by C.J. Mahaney, The Discipline of Grace by Jerry Bridges and Because He Loves Me by Elyse Fitzpatrick. –The most important truth to remember is we can't do any of this on our own. We need the Holy Spirit to open up the truths of the gospel within our hearts. This is true for every moment of our lives. Continue to ask the Holy Spirit to open your eyes and make the gospel alive to you again. C. J. Mahaney's response when people ask him how he is doing is, “Better than I deserve.” The truth is, as negative as that may sound to some, it is true for those who are in Christ. We all deserve hell, and before we were in Christ, we were under God's wrath. In Christ, we are His adopted children, and heaven is our home. We are loved and forgiven by an Almighty God. All of it undeserved. When we understand and grasp these truths – it truly is Amazing Grace! I can forgive others because I have been forgiven. I can show patience because Christ has been patient with me. Only through the cross can we overcome the guilt of sin and gain the power over sin. Any sin someone has committed against you will never be as serious as the sins you have committed before a Holy God. The cross will transform your perspective on all of life. Take the time today to dwell and pray and ponder on the truths of the gospel. May Christ and His death on the cross for your sin and my sin be the greatest treasure in your heart. Never stop being amazed at the gift of grace. Every day of our Christian experience, should be a day of relating to God on the basis of His grace alone. We are not only saved by grace, but we also live by grace every day.